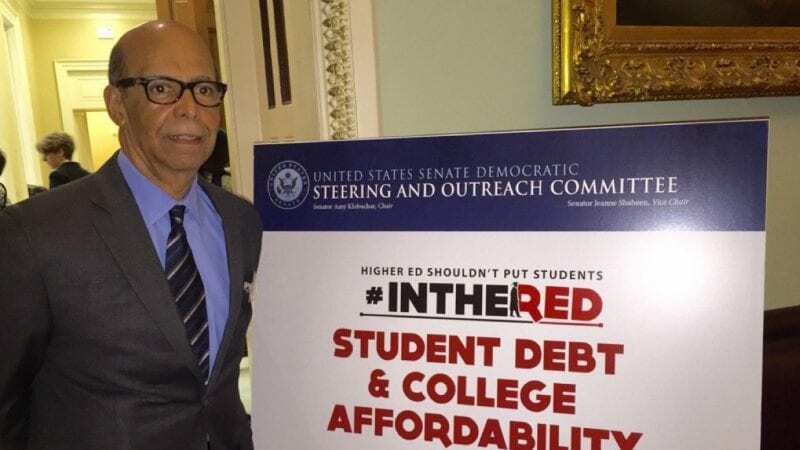 U.S. Senate Democrats met with stakeholders Feb. 3, 2016, to address student debt and college affordability. The senators heard testimony from students, teachers and other stakeholders about the impact of debt on students' personal and career choices and how student debt affects the economic growth of an entire generation. "We will get over 100,000 applications for 10,000 scholarships," Dr. Lomax testified. "So for everyone we award, we just about turn away nine students. And these are students who are doing everything right." To see his full testimony, watch this video below. Dr. Lomax begins speaking at 40:33.